Thank you for choosing Enviro-Cool for your antifreeze needs. We are a locally owned-and-operated company providing antifreeze for auto, truck, and bus service centers throughout the Southeast United States. All components of our antifreeze products are proudly made in the U.S.A. We use state-of-the-art vacuum-distillation equipment for both the glycol and water. This process yields antifreeze that is so pure and clean that it looks, smells, and tests identical to – or better than brand new! (In fact, several “new” antifreeze formulas on the market today contain part vacuum-distilled recycled glycol(s). To this distilled glycol/water base, we add the best inhibitor packages available at ANY price. All of our antifreeze types are fully-formulated and pre-charged — ready for use in ALL automotive (gold formulas) and heavy-duty diesel applications (gold formulas recommended for diesels containing aluminum in their cooling systems), including “wet sleeve” cylinder-lined diesels, without the need for Supplemental Coolant Additives (SCA’s). This benefit saves time and money. Our in-line digital flow-meters ensure accurate deliveries and billing, to the tenth-of-a gallon. As part of our commitment to the environment and providing customers with the best antifreeze available at any price, all of our formulas contain an additive that prevents people and animals from ingesting them, even though not required by law. Prior to Enviro-Cool, companies that chose recycled antifreeze reaped two important benefits: the cost savings of these products and the “green” aspects of recycling — increasingly important in this age of heightened consumer and government awareness on these issues. Now, a third benefit is added — we provide a superior product, one that is often better-than-new. Your company no longer must choose between cost savings and quality. All of our antifreeze formulas are premixed, using distilled glycol and distilled water. This eliminates the need to have employees mix the antifreeze, reduces the chances for errors and spills, reduces clutter and - most importantly - guarantees the quality of the finished product. Our antifreeze is certified and ready-to-use, as-delivered, saving time AND money. All of our antifreeze formulas are also pre-charged, allowing their use in ALL vehicles, without the need for Supplemental Coolant Additives (conventional green antifreeze not recommended for cooling systems and engines containing aluminum). Our UNIVERSAL GOLD antifreeze is a true universal formula: most "mix-all" brands are not. It has the same PH (10 – 11) as the conventional green formulas and, thus, will not alter the PH when used to “top-off” a system containing conventional green antifreeze. It is also a light gold color, which blends with any other color used by various manufacturers. causing rapid corrosion. Many of these formulas are also NOT neutral in color and when mixed with factory coolants, will alter their appearance. Our UNIVERSAL GOLD antifreeze is also an ultra-extended-life* formula and is fully-formulated and pre-charged for use in ALL cooling system applications, including heavy-duty diesel and commercial vehicles. 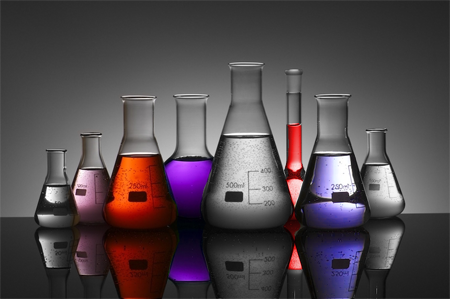 Our ORANGE, RED, BLUE, PINK, PURPLE and FUSCIA manufacturer-replacement formulations are also ultra-extended-life, heavy-duty formulations in the HOAT category. They are designed to meet or exceed ALL of the Original Equipment Manufacturers' specifications for their original formulas (please see the specifications page). In general, they are better than the OEM antifreeze they are designed to replace. Our HEAVY-DUTY CONVENTIONAL GREEN antifreeze is fully-formulated and pre-charged with high levels of Nitrite and MBT to protect the "wet sleeve-lined" heavy-duty diesels from pitting and cavitation damage. No Supplemental Cooling Additives (SCA's) are needed in heavy-duty/commercial applications. Again, this formula is not recommended for use in engines or cooling systems containing aluminum. 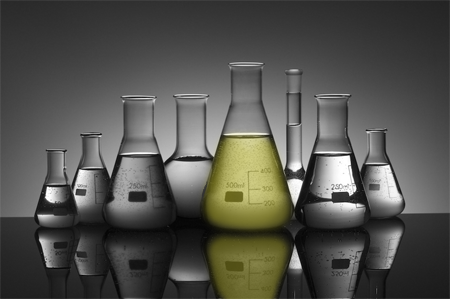 All of our antifreeze formulas are pre-charged with MBT and/or high levels of Nitrite (>2400 ppm) and meet or exceed the most demanding industry specifications. These levels protect the “wet sleeve” liners of heavy-duty diesels. Our UNIVERSAL GOLD-based formulas (including RED, BLUE, PINK, ORANGE, PURPLE and FUSCIA) also protect the new all-aluminum engines from pitting and cavitation damage. A proprietary combination of substituted tolytriazoles and phosphono-carboxylates effectively controls corrosion of steel, cast iron and aluminum. Copper, brass and solder are protected by a mercaptobenzo-thiazole and a tolytriazole blend. ALL of our GOLD and OEM-color formulas are perfectly suited for use in ALL engines, without the need for any supplemental cooling additives (SCA’s). As conventional green antifreeze has not been used in any new vehicles for nearly a decade and as it is not suited for use in aluminum cooling systems, we no longer offer it. We do, however, offer our UNIVERSAL GOLD antifreeze dyed green for those customers who demand a “green” antifreeze product. The proper PH (10-11) on ALL antifreeze – including the extended-life formulas – assures the protection of both metallic and non-metallic components within ALL cooling systems, as well as PH compatibility with ALL antifreeze types – including any conventional green antifreeze that may remain in the vehicle. 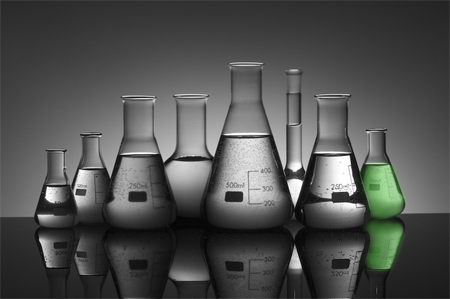 Our UNIVERSAL GOLD, and the multi-color Original Equipment Manufacturer-replacement formulations, are all hybrid (HOAT) formulas, containing both carboxylic acids and azoles/inorganic salts. Antifreeze is conveniently delivered on a regular route – usually, there is no need to place orders. Enhance your “Green” image and commitment to the environment. No concern about people or animals ingesting any antifreeze from your place of business, as our products contain an agent preventing it. Enviro-Cool’s antifreeze is a superior remanufactured product, often better-than-new. Our antifreeze is premixed and ready-to-use. No empty jugs littering the workplace; no paying employees to mix it; no concern about it being improperly mixed; no problems associated with tap water. The ability to service ALL makes and models of cars and trucks, with their unique color formulas can be realized – without the need to stock large quantities of each. All of our formulas exceed ALL Original Equipment Manufacturers’ specifications. Enviro-Cool is committed to offering superior service. NO contracts to sign; no service fees or delivery charges. Translucent 55 gallon drums or 275 gallon totes are provided with our service, allowing a quick, visual inventory check. In-line digital flow meters ensure accurate billing, to the tenth-of-a-gallon.